SEASON (AVAILABLE): 14.11. – 21.04. High-class accommodation in a cozy Aurora Cabin, whose glass roof provides an expansive view of the space above you, dog sled and reindeer rides, snowshoe expeditions into the magnificent wintery forests and fells. Delicious food prepared from only the purest ingredients of Lapland served by a warming fire and in a comfortable restaurant. 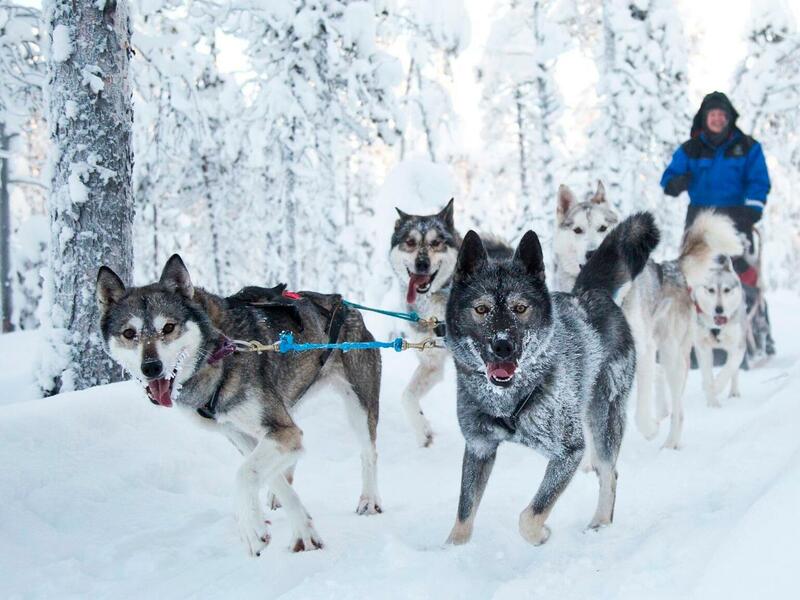 This trip provides you the opportunity to experience all the greatest displays of the wintery nature of Lapland and the most enjoyable activities in a unique, first-class setting. The entire program has been crafted with skill and passion so that you can enjoy the unforgettable experiences with all of your senses, without sacrificing comfort.